There is a recent hype about deer velvet so I decided to shed some light on the subject. In ancient Chinese medicine velvet has been used for millennia to increase vigour, youthfulness, and sexual performance. Recently in N. America velvet use is on the rise for improved athletic performance, increased recovery from injuries, and increased libido. What makes antlers amazing is that they grow to tremendous size in just one season. The two hormones responsible for such amazing growth are testosterone and insulin like growth factor one. 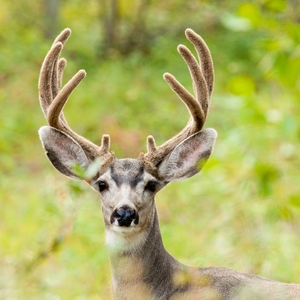 Both of these hormones accumulate in the velvet of antlers. The antlers are harvested by locally anesthetising the animals and the growth begins anew by providing the animals with proper nutrition. The final product is then prepared in capsule form or as an extract to be sprayed under the tongue. Only the spray form works due to the fact that IGF-1 is a protein so it would be digested and ineffective if swallowed. IGF-1 is a naturally occurring hormone in humans. In the early stages of life it is responsible for the growth of the body. In adult life it maintains muscle mass and regenerates the body from wear and tear. It does this by increasing the number of cells and by making cells grow. Furthermore it is also a potent inhibitor of programed cell death. Research shows that it is also effective for regeneration of joins. As we age the level of IGF drops and the regenerative capacity of the body slows down. This is why it makes sense to supplement with this compound, especially in later stages of life, because of its regenerative and anti-aging qualities. Although testosterone is found at lower levels in velvet, it may contribute to supporting muscle mass as well as increased energy and sexual vigour. One cautionary note. Too much IGF is not a good thing. It can make organs grow to an exaggerated size causing problems with their function. Therefore use small doses at first to see improvement in your condition and slowly increase the dose if necessary, never taking more then what is actually recommended. Categories: Antioxidants, Lifestyle, Radical Remedies, by Dr. Karol | Tags: ancient remedy, deer velvet, hormones, sexual performance | Permalink.